Year: 1957 Item #: 1665 Views: 4,035 Comments: No Comments. 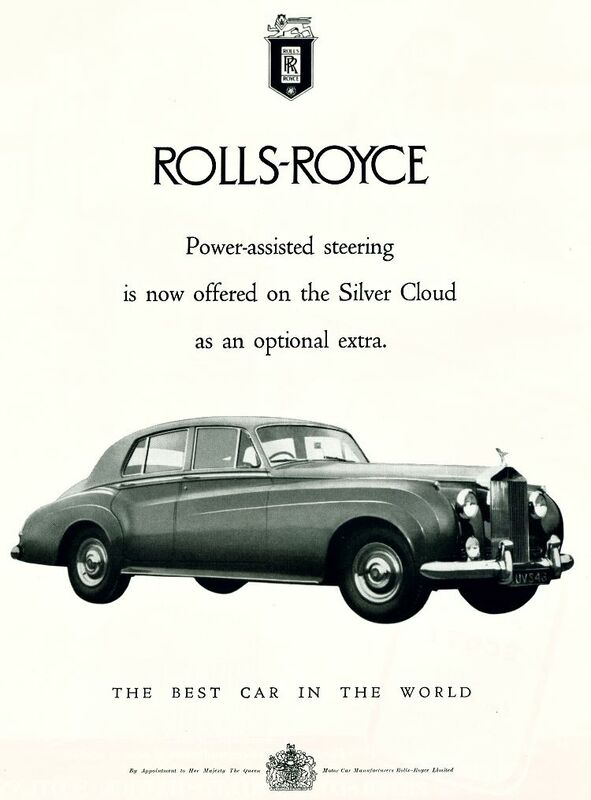 Power-assisted steering is now offered on the Silver Cloud as an optional extra. The best car in the world.